In 2017, the use of prepaid and private label cards accounted for $6.4 trillion in payments for goods and services. And while swiping or inserting a card may be the preferred way to pay for consumers, it’s at the literal expense of many merchants. According to The Nilson Report, businesses, ranging from your local barber to Walmart, took on nearly $97 billion in processing fees—an over $8 billion increase from 2016. It’s a large chunk of change, often ending up in the pockets of Visa and Mastercard. Yet consumers, through apps like Venmo, have managed to avoid fees entirely when transferring their share of the drink tab to a friend. 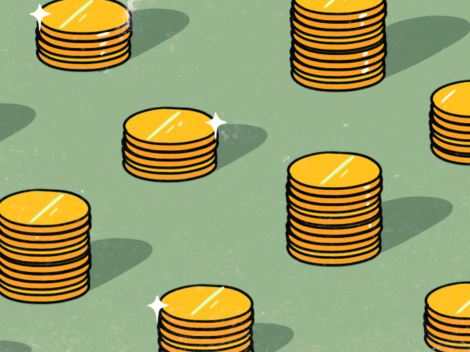 So it’s natural that merchants also want in on the zero-fee game, and startups are increasingly happy to oblige—assuming they can work through a myriad of regulations. Both before and after Dodd-Frank, Visa and Mastercard—the two major credit card issuers in the country—have been in an ongoing war with major merchants. But card minimums are a disproportionate nightmare for smaller companies. “The problem with small merchants is that their profit margins are compressed,” Brian Roemmele, founder of Pay Finders and expert on credit card processing, told Crunchbase News. “They start looking at costs to accept payments and realize that selling a bottle of water with no profit margin doesn’t make any sense.” For example, Visa and Mastercard have a fixed transaction card fee anywhere from 7 cents to 35 cents, thus on a water bottle with a $1.50 price tag, the margins begin to look grim. And in most cases, customers go along with the minimum charge to help the little guys out. However, confusion persists on just how much the minimum charge should cost. As a result, $15 and $20 bar minimums are commonplace. “Dodd-Frank had an unintended effect on the consumer’s end,” Cherian Abraham, payments executive at Experian, told Crunchbase News. But even with the backing of Dodd-Frank’s protection, the practice of charging beyond a $10 card minimum is technically still illegal, Roemmele confirmed. The need for more efficient swiping—or contactless tapping—is evident in some establishments already beginning to accept Venmo payments from customers short on cash. But that solution, and others like it, including Apple Pay, Square, and Google Pay, are not breaking away from credit cards and the resulting interchange fees. To kill those fees, a cohort of point-of-sale startups are building whole new networks not built off the backs of traditional payment processors like Visa or Mastercard. PayStand is one of several startups focusing on merchant payments, which Jeremy Almond, Paystand’s founder and CEO, admits isn’t as “exciting” as cryptocurrency but is just as important to the fintech sector. PayStand closed a $6 million Series A round last November. Using an e-payments system will not only eliminate the inconvenience of card minimums for customers, but it will also lower and stabilize the merchant’s swipe fee rates. “Because mom and pops shops tend to be the most affected by these fees, and are forced to pass them onto their customers, switching to digital pay will eventually help solve this issue across the board,” Almond explained. Other startups working on the problem include GoCardless, Snapcard, and Dwolla, which just raised a venture round of $12 million. When I contacted former congressman Barney Frank about the effect his sponsored bill—resulted in the Act—has had on both small merchants and consumers, I didn’t receive a reply.